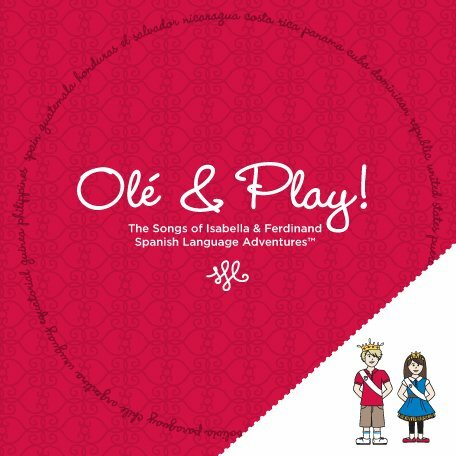 Isabella & Ferdinand® Academia de Español™ is a Spanish language learning program for children and adults with locations in Washington, D.C. and Miami. Our mission is for students to become both linguistically and culturally fluent in the Spanish language. We teach our students the best, most proper standard of Spanish they can learn, as well as making sure that they gain a solid understanding of the art, literature and culture of Spain and Latin America. Our classes bring music, literature, theatre, and art to Spanish language and cultural learning. Isabella & Ferdinand offers classes for first-time learners of Spanish as well as bilingual children. All of our classes are taught in an immersion environment exclusively by qualified, native Spanish-speaking teachers. Our innovative Isabella & Ferdinand Learning Gems™ teaching system and CultureCentric Immersion® curriculum are based upon the standards of the American Council for the Teaching of Foreign Languages (ACTFL) and the Instituto Cervantes in Madrid. Children are encouraged to become conversational as soon as possible, learn correct pronunciation and a wide array of vocabulary and phrases in Spanish. Our dual emphasis on linguistic excellence and cultural understanding results in an engaging, best-in-class Spanish language program for children. I&F and Horace Mann ES Announce Strategic Partnership and New! Home for I&F. Check out our Press Release here! See below for New Calendar and Pricing - any question? Contact us @ info@isabellaandferdinand.org. Olé & Play! Check out our video and music CD. Playing and learning in Spanish ! Isabella & Ferdinand Academia de Español is a not-for-profit Spanish language academy in Bethesda, MD and Washington, D.C. Isabella & Ferdinand Spanish Language Adventures®, is an educational company devoted to teaching Spanish to children through culture.